Over the last 10 years, Les Binet and Peter Field have become known as “The Godfathers of Effectiveness”. If you are looking for someone who knows, what works in communication today and what doesn´t, Les is the right person. In the last 30 years he has devoted his career to measuring and improving communication. He was responsible for planning of countless campaigns, which became extremely successful. His brand new research looks at how the rules of marketing effectiveness need to be adapted to the digital age. Are consumers choosing brands in a different way? Do online brands need a different approach to offline ones? Do subscription models change everything? He’ll show how the rules of effectiveness need to flex in a digital world, and what that means for strategy, budgets and media. His book “The Long and the Short of it” (with Peter Field) is one of the most quoted studies in the field. 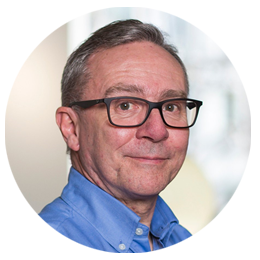 In 2018, two new titles co-written by Les Binet were published: “Effectiveness in Context: A Manual for Brand Building” (with Peter Field) and “How Not To Plan” (with Sarah Carter). In this talk, Les will reveal the commonest marketing mistakes, and what we can learn from them. While most books on marketing focus on the success stories, How Not to Plan is different - it exposes the myths, mistakes and misperceptions that all too often screw things up. And it inspired the concept of Communication Summit 2019. By highlighting the pitfalls that lurk at each stage of the planning process, it shows how to sharpen up your strategic thinking, produce better creative work, and get more bang for your marketing buck. As such, it’s a vital addition to any marketer’s toolkit.